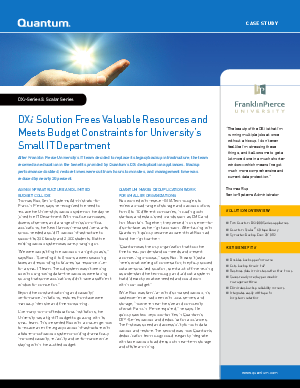 When Franklin Pierce University’s IT Team decided to upgrade their backup system to DXi Deduplication, they doubled the performance of their legacy system. And in addition to their performance benefits, they reduced management time by 20%. Find out how.